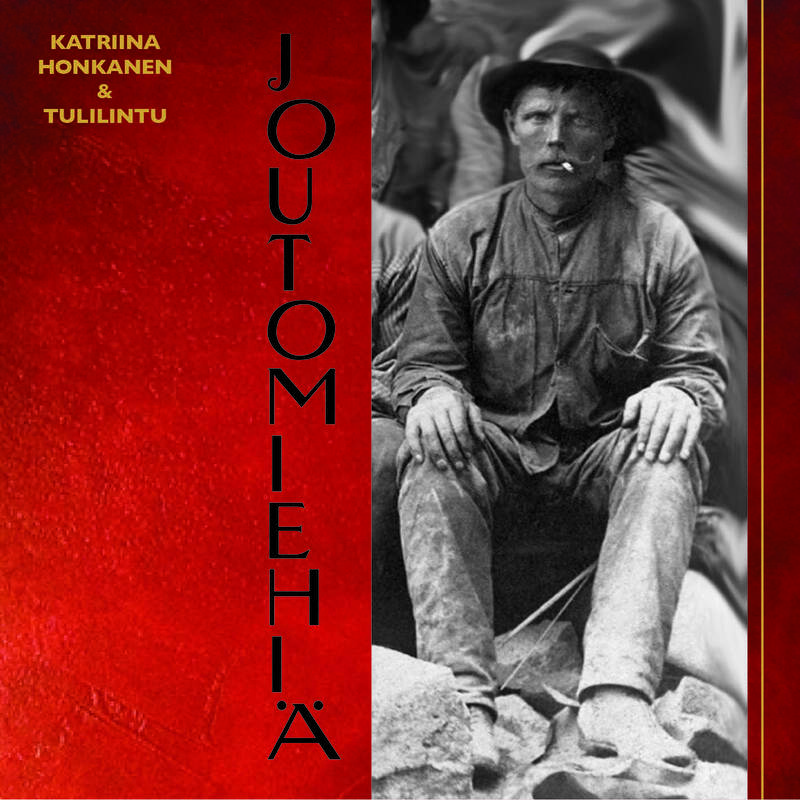 Joutomiehiä, released in early May this year is a musical recording that has been in the making for two years. It was composed by Katriina Honkanen with arrangements by Tulilintu for the Finnish play entitled Rosvot-Balladi Joutomiehistä, which is actress, singer/songwriter, Katriina Honkanen’s first music work for theater. It is a union with the dance theater Tsuumin. Inspiration for the music and play, came from a movement in Finland around 1820, when hard times drove people from the countrysides to seek adventure and work opportunities. These joutomiehiä were spare time guys, floaters, not professionally trained workers, but often handymen with basic life skills who moved towards urban communities. They were free time lumberjacks, farmers, carpenters, gypsies, and even gangsters. Here is a new sound, about an old time, that relates to the timeless notion in human nature, to quest for change. Joutomiehiä has great lyrics with a native pulse. I was surprised and moved by its content. It isn’t your polka- happy pretend world, it’s real life. One does however find humor even in the dark aspects of the recording, if you understand the Finnish language (it’s all in Finnish). Finns are funny when times get dark. It’s their survival tactic, or should I say their gift! 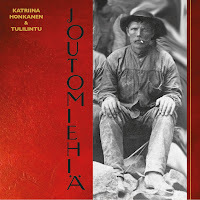 I have to say I am appreciating it more and more for the story it tells of that difficult period in Finnish history. The music performance is excellent; the violin/fiddle, accordion, electric guitar, contrabass, percussion, Katriina’s vocals, and an amazing play of well written words. I am intrigued by the whole package of Joutomiehiä! It is like reading a book, following characters in a moody mood enhanced by music. This is new music about an old time, yet relevant to modern day struggle. Joutomiehiä dances history. Milli Salmela Bissonett is host of a radio show in Ely, Minnesota, that plays a variety of music, including Finnish recordings.